If your water is supplied by a well system or if you simply want to remove impurities for drinking and cooking, a custom water filtration system is the right solution. The skilled plumbers at John’s Plumbing & Pumps, Inc. can help you find a customized system for your needs. We look at your water usage and even test water quality for contaminant and mineral levels to make the most informed decision possible. For more than 60 years, John’s have been serving the cities of Pierce County, providing reliable plumbing, installation, and repair service for homes and businesses alike. In that time, we’ve found out what works. But we also know that everyone’s needs are unique. That’s why we take the time upfront to learn about your property and how our services can help you solve even the most complex plumbing issues. Our services are comprehensive, which means we don’t just install water filtration devices. We also service, maintain, repair, and replace filtration components whether you’re a current John’s customer or not. 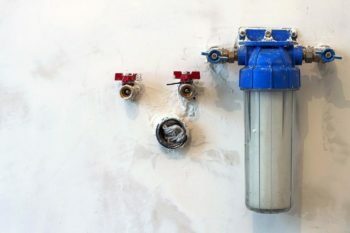 Why install a home water filter or softener? In the Northwest, we’re blessed with high-quality, local water from rivers and snowmelt. So, we’re already getting an advantage. But many properties in the area rely on well systems for their water supply, and the quality can sometimes be slightly more difficult to control. Sediment and minerals can collect in the pipes, causing water to taste and feel unpleasant. 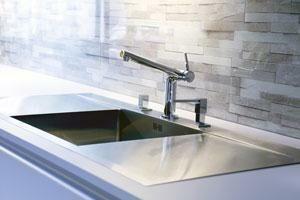 A customized water filter can remove impurities before they enter the building or at the tap. Ask us about which type is best for your needs. At-the-Source – These types of water purification systems filter water farther down the main line as it comes into the building and gets distributed among several secondary lines. This option is great if you want filtered water for all appliances and faucets. At-the-Tap – This style of filter works for households or small commercial spaces that just need filtered water for drinking or washing. Our installers focus on one or more easily-accessible locations instead of a larger system that would handle water for the entire home. Water filters work brilliantly for reducing calcium and magnesium deposits. When these ions build up in plumbing systems, tubs, sinks, appliances, or even on our bodies, it can more than unpleasant – it can be problematic. Hard water is commonly known to feel ‘difficult to rinse off’ and is the culprit when otherwise shiny surfaces like chrome fixtures and glass shower doors become cloudy. It’s not clear whether more serious issues can arise when hard water is consumed over time through cooking, drinking, and daily hygiene. But water softeners can help to eliminate the negative effects on household materials. Contact our plumbers servicing Graham, Washington to discuss how water filtration installation can help improve your water supply.